Android USB Drivers are required for many purposes, like connecting your smartphone to a computer or some softwares require USB drivers installed on your computer in order to detect your android smartphone. 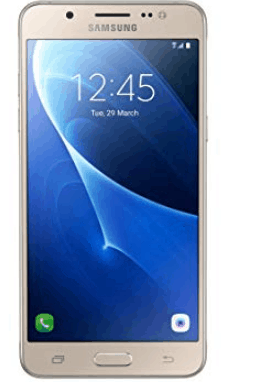 If you want to upgrade your phone manually via Odin tool, then you need to download and install Samsung Galaxy J5 USB drivers for Odin tool on your computer. In this way, you will be able to connect your smartphone to Odin tool. Proceed to download section of this guide there you will find the required usb drivers for your Galaxy J5 prime. Samsung Galaxy J5 is a super stylish android smartphone that include varieties of models as being appreciated by android lovers. The phone has a large display size of 5.0 inches supporting resolution of 720×1280 pixels. It include Super AMOLED capacitive touchscreen. The phone is equipped with quad-core 1.2 GHz cortex-A53 processor along with 1.5 GB RAM. The internal memory of the phone include 8 or 16 GB and also support micro-SD card upto 256 GB. The camera of the phone is quite awesome including 13MP primary camera with LED flash and 5MP secondary camera with LED flash. The connectivity medium include WLAN, Bluetooth, GPS, NFC, Radio and USB. It is powered by Li-Ion 2600 mAh battery. It comes in three various colors which are Black, White and Gold. Simply download the driver from the above link and then install it on your computer by following the installation wizard on-screen instructions. Also comment us, if you are facing any problem related to this post.